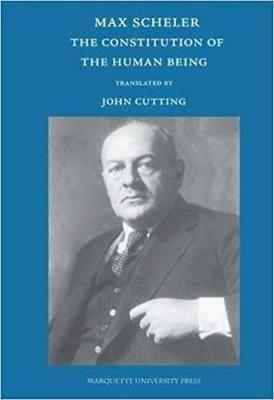 Max Scheler (1874-1928) was one of the major philosophers of the 20th Century. He was one of the three original phenomenologists - along with Husserl and Heidegger - who set the scene for phenomenological, existential and life philosophy, which dominated Continental European philosophy in that era. Of those three he is the least well known, partly because he died relatively young, partly because he was half-Jewish and foretold the National Socialist regime in Germany, and therefore his books were banned for fifteen years, and partly because his writings were ahead of his time. This translation, taken from his post-humous writings, carefully conserved by his widow, is of inestimable significance. It brings together most of what he wrote on metaphysics and human anthropology, the two topics which he was preoccupied with at the time of his death, and which he had promised would be full-length books. Anyone with any interest in the nature of the human being, and anyone with a sense that the current dispute between scientists and theologians is missing the point, should pounce on this book as providing a feast of inspiration.